• Disabling specific drive read/​write heads. The main idea of data recovery with DDI is to clone data from the source hard drive with a certain level of hardware malfunction to a clone drive and perform data recovery operations either from the clone drive or while data is being cloned. Such approach greatly reduces tear and wear of the source hard drive and reduces further deterioration of its state. • DDI clones the entire source hard drive to the source one consequently, sector by sector. Any further data recovery will be made from the clone HDD. 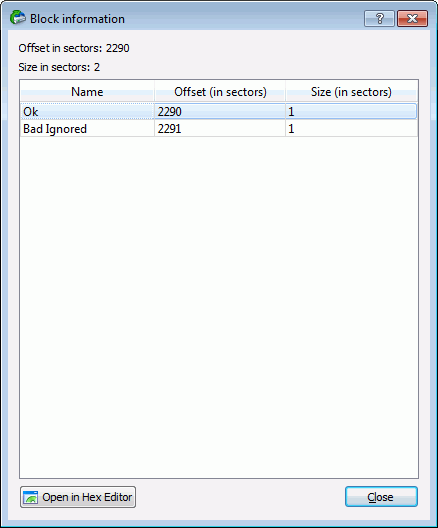 • DDI clones those sectors of the source HDD which have been read during data recovery. Such readings are optimized to minimize the movement of the drive's head unit. 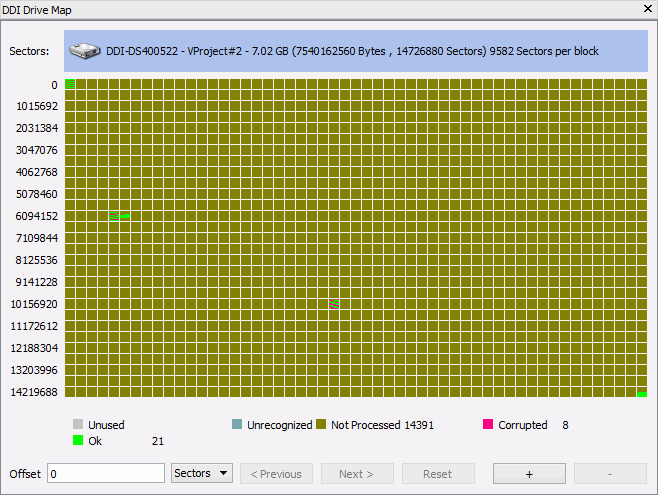 All following reads from those sectors will be done from the clone disk. For example, if files are to be recovered from a partition on the drive, DDI will clone the boot record of the drive, the file table of the partition, and the sectors of the files. If the partition is scanned, the scanned sectors will be cloned, too. All consecutive operations, such as file preview, and so on, will be done from the clone disk. This greatly reduces the time necessary to perform the recovery operations and furthermore hard disk wear. 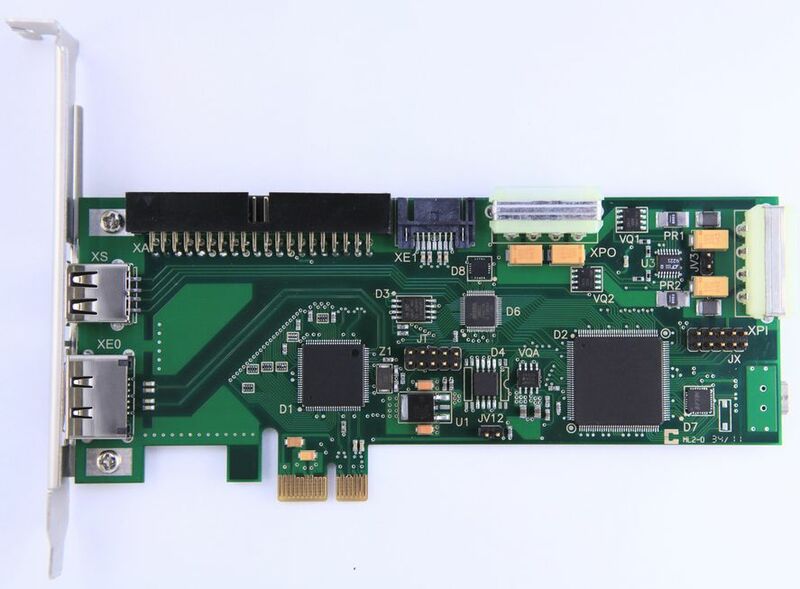 Read the DDI documentation on how to install DDI connect the drives to DDI and start working with it. 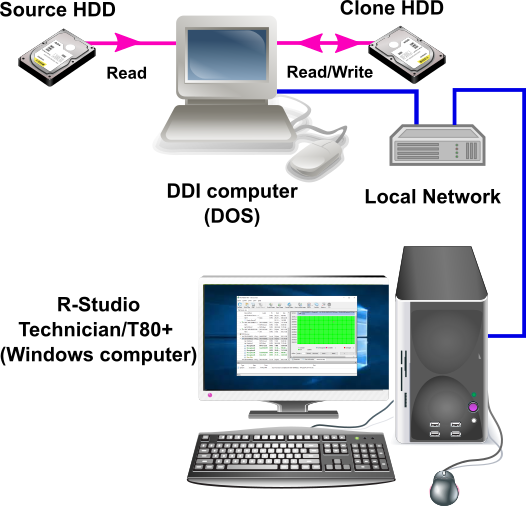 There may be several DDI computers on the network, R‑Studio will connect to all of them. Such configuration may be useful for RAID recovery when several disks on the RAID have hardware problems. To start working with DDI , its computer should be connected to R‑Studio . > The disks connected to DDI will appear on the Drive pane. Now it is possible to work with disks connected to DDI like all other disk objects on the Drive panel. For example, such disks may be included into virtual RAIDs and other compound objects. Moves to the previous/​next part of the data. To see more detailed information about a particular sector range, right click the corresponding rectangle and select Information on the shortcut menu. Click the Open in Hex Editor button to open the selected block in the Text/​hexadecimal Editor . You may clone separate files when necessary. * Right-click the file and select Clone file sectors on the shortcut menu. > The file sectors will be cloned and R‑Studio will show their status in the Contents pane. * Mark the files, right-click them, and select Clone marked file sectors on the shortcut menu. Corrupted. At least one sector hasn't been read. At least one sector isn't cloned yet. R‑Studio can also load and process images created with the DeepSpar Disk Imager™ . If R‑Studio cannot find DeepSpar Disk Imager™ , the Select Interface dialog box will appear. Try to find the DDI interface manually.